Last time - For Day #15 Post (Severed foot!) was printed in 3DFilaprint (RepRapper Tech) Pink PLA I also talked about filament samples and manufacturers / suppliers. 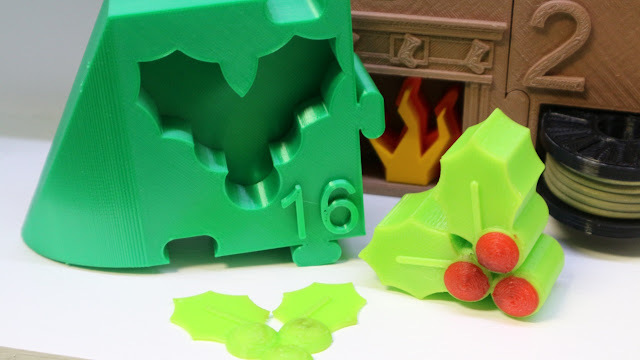 Holly ;) printed in Filaflex green and red flexible TPU filament. Day 16 tree in Polyalchemy Elixir. I was holding out for a good gift to use a flexible material, and this is as close as I can get for now. Just in case we don't get any other models that lend themselves to flexi-filament, here we go. Filaflex filament in wonderful colours - it's a really great material to have around for any bendy projects. Filaflex is my go-to flexible material - I really enjoy using it for so many great reasons. TPU/TPE is also resistant to many chemicals and has very good wear resistance. If you want to make a living hinge, or a flexible 'anything' then Filaflex or a similar TPU/TPE material is the one to look out for. Is it mistletoe or holly? Mistletoe has long rounded leaves and white berries, holly has sharp leaves and red berries. It's holly. So I'm printing it in Green and red. Super flexible and strong, you really can't tear this material or break it with your bear hands. TPU is a wonderful material, especially to use in a 3D printer. It's by far able to produce models that are almost impossible to break apart - even on layer lines. Inter-layer bonding is 'amazing strong'! 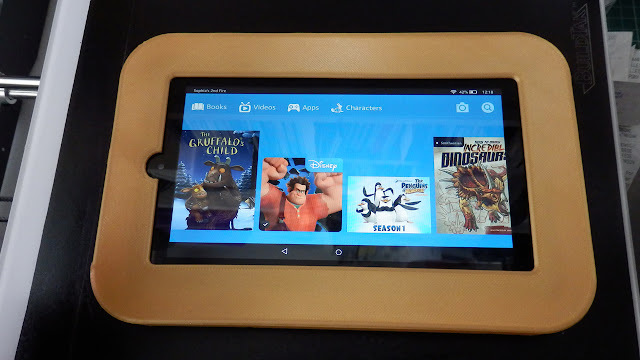 You can even make things like shock-mount Tablet PC cases for kids. 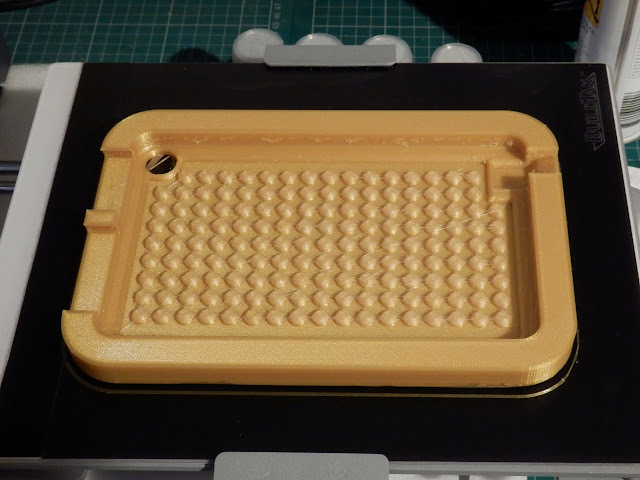 Tap washers, motor shock-mounts, gaskets, flexible insoles, finger tips for robots, hinges for boxes and many soft finishes for products - Some of the most useful and long-lasting 'active parts' I have 3D Printed are made in Filaflex. It's also possible to print with Filaflex directly onto fabric (t-shirts are popular) - you simply need to have a 3D printer without a moving bed, then lay across the fabric / t-shirt. When you print, do it a little distance away from the cloth, and pump up the print temperature, so it's almost a liquid (+260/275). then drop the temp back to a ~244 Degrees C level to complete the print. What settings did you use? - I'll give you my best settings and tips for using Filaflex, but do be aware that it's such a soft material, every extruder - hot-end and printer is going to be slightly different. 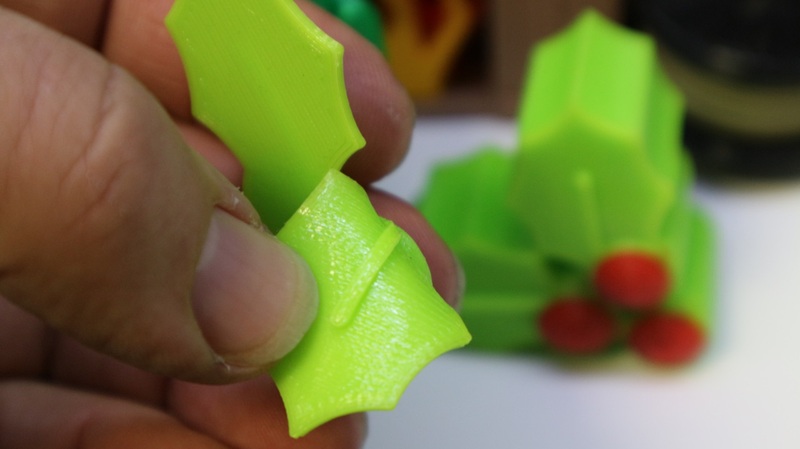 If you look closely at the above image you will see a green 1.75mm Filaflex filament in the middle. 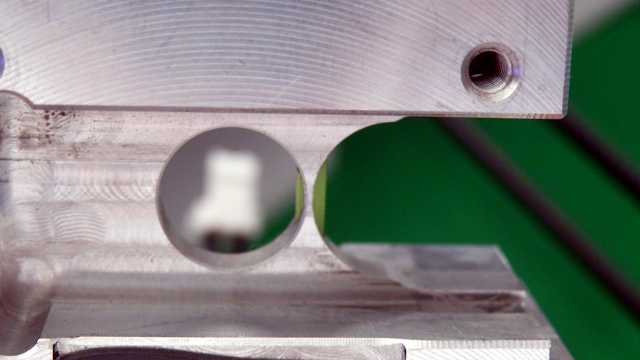 This solid aluminium extruder block has a hole running down the middle for the soft Filaflex filament. The left hole is for the filament drive wheel, the slot on the right is a for a bearing idler. This is just about the perfect drive system for soft filaments like Filaflex. Recreus also make their own extruder and hot-end systems for using Filaflex. I have used an older version, they are now at Version 3 - see here for more details. Ideally you need a very short distance between the extruder drive gear and the end of the nozzle. If possible have the filament constrained all along the extruder-hot-end path. Note :- do check the size of the filament, it's usually very consistent on a roll, but it can often be slightly under the 'normal' 1.75mm diameter (or 2.85mm average). I often find a 1.69, 1.71, 1.73 etc. diameter on rolls, for me that seems to be normal, just remember to enter the real diameter in the slicer you are using. You will need to experiment, but here is how I setup my 3D printers to extrude Filaflex (perfectly). I have spent a lot of time tuning this. YMMV. Z-hop / Lift set to the print layer height. Normally a 24% infill level on most parts. Avoid crossing outline for travel moves (really important) keep the tool-head inside the model. Experiment with Fan usage - I use 30% fan for most - only 100% for bridging. Print on blue tape or with an interface layer of some description / glue / spray / magigoo. Good luck, it is awesome when/if you get it dialled into your 3D printer. Why use it? - It's very, very flexible and strong. Recreus also now make different grades of soft and super-soft materials, so now you have even more choice. Is it strong? - It can be stretched many times it's own length without breaking, stronger than rubber-bands. Layer bonding is insane, you can't really use self support material as you will never remove it. Is it easy to use/print - With a good extruder and hot-end combination, yes it's really easy to use. with a 'bad' combination or in some bowden systems, especially 1.75mm, it's a total nightmare and can even be impossible to use. You can however use the 2.85mm version in a bowden setup. I have used Filaflex in the BCN3D Sigma with very good results. Do you have to dry it before/after use? - No - it's good as it is. I have never had to dry Filaflex. it's one of the most resilient materials in all conditions. I even had a test sample of filament outside for a few weeks, and it printed almost perfectly after a wipe down before use. 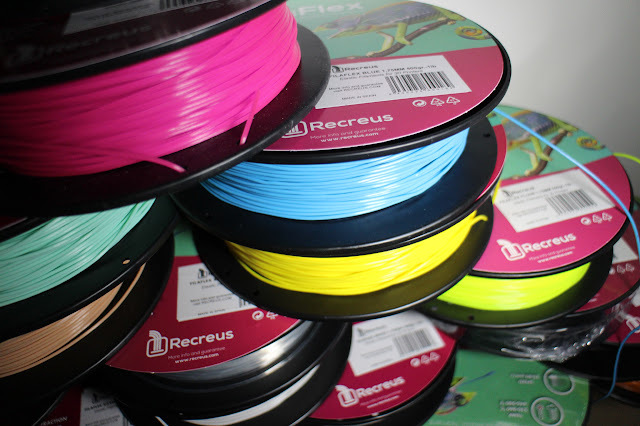 Conclusion for Recreus Filaflex elastic TPU- I have tried many other flexible filaments, and this is the one I always use for every flexible project. It's just great. Days 1 to 16 of the Advent Christmas Tree. Day #16 is completed. 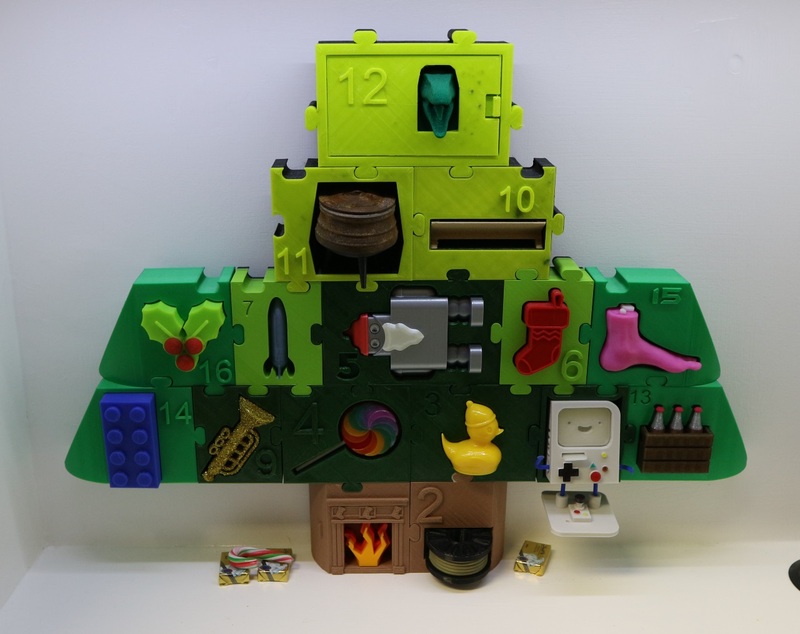 My kids decided that so far, their best advent gift days have been Day 4, Day 8, Day 9 and Day 16. 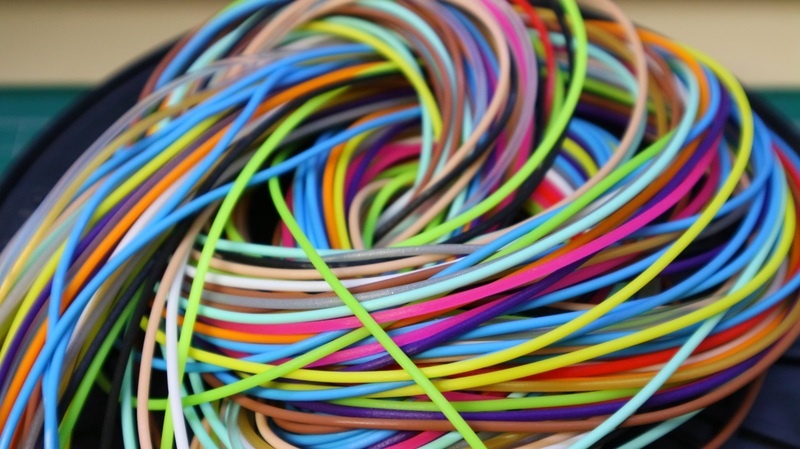 I think the story here is about all the great uses you can have for flexible 3D Printing. You can do a lot of fun things, but it would not be right if I didn't mention projects like the great work eNable and Open-Bionics are doing. If you are not already aware, do please check them out. One last thing I want to mention is the wonderful Gensole (Insole generator) by Gyrobot. Do give it a look if you are needing insoles, it's fantastic.